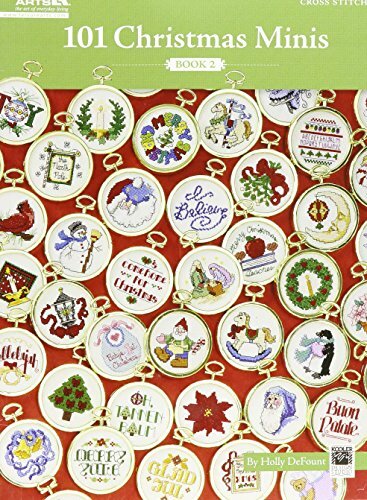 101 Christmas Minis — Book 2 (Leisure Arts #5523) is packed with petite cross stitch designs by Holly DeFount of Kooler Design Studio. These traditional holiday designs are wonderful for finishing as ornaments or using to embellish other decorations and gifts. Designs portray Nativity scenes, Santas, snowmen, florals, toys, elves, stars, candles, greetings, pets, music, and more. When stitched on 18-count fabric, they all fit inside a 2 -inch diameter opening. Full-color charts and basic cross stitch diagrams and instructions are included.